This Vimel Mini Tiny VIM-VOICETINYB is a digital voice recorder device. 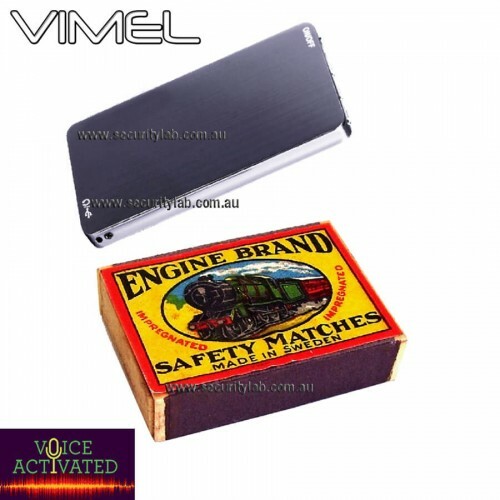 This new tiny Vimel voice recorder is the best among the smallest voice recorder in the world. It will be surprised when you see it, because of its size and weight. Its size is 68x405 mm with the weight of 24 grams. If this device is in voice activation mode it can record up to 8 days. At the same time, this device has an outstanding technical characteristic. This is used for professional hidden voice recording. You can also present it as a gift for business professionals. This spy gadget can be kept anywhere and it allows you to know the discussion that happened there. This includes high sensitivity microphone with low noise level which helps in recording the audio from a long distance. It is able to operate in record mode for 4 days. The high speed of this drive 2.0 is up to 7Mb/s. All necessary software located in the memory of voice recorder so that you need not any CD with software to use this device. The supplied software working under Windows 98/2000/XP/Vista/Windows 7/Windows 8.1/10 because it is compatible. This device is designed with a solid metal case. It has 8GB memory and recording duration is 300 hours. it is integrated with intelligent noise reduction. The recording quality of the audio is 192 kb/s. The frequency band ranges from 100-10000 Hz. It has mono recording mode and also an internal flash memory.